Print out these coupons for discount propeller repair at Sante Marine! Coupons must accompany your order. 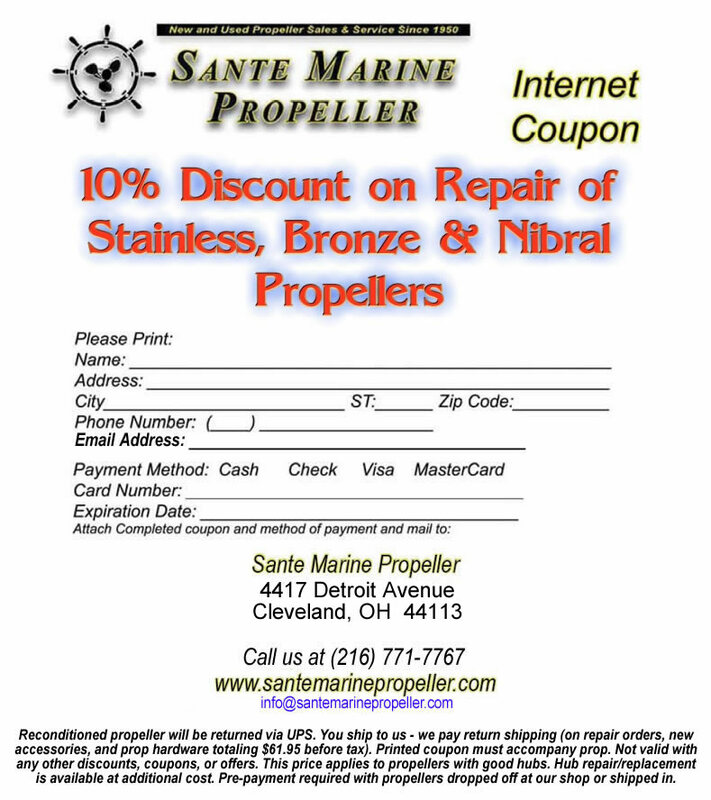 Simply click on the coupon and print! Note: All repair work is pre-paid in full at time of drop off. NO DISCOUNTS AVAILABLE on expedited repair orders.